Hyundai Motor India Ltd, the country’s second largest car manufacturer and the largest passenger car exporter, concluded the Third Phase (July 10-20, 2017) of its Global CSR campaign – Happy Move – ‘Save Our Heritage’ at a closing ceremony conducted at Central Park, Connaught Place, New Delhi. The ceremony showcased spectacular cultural performances and street plays spreading the importance of cultural heritage through art, highlighting the Indo-Korean connect by Happy Move Volunteers. The initiative was undertaken in collaboration with the Archaeological Survey of India (ASI) commenced at the heritage sites of Humayun Tomb, Qutb Minar, Purana Qila, and Red Fort in Delhi and involved a School Contact Program with focus on creating awareness among people and sensitize them to understand the value of heritage in our lives. 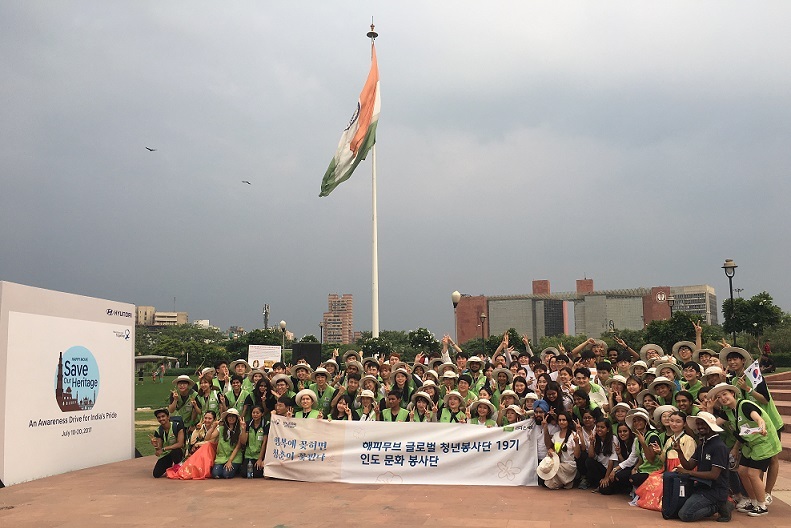 Hyundai conducted an awareness drive with over 125 Happy Move Global Youth Volunteers (100 from S.Korea and 25 from India) in an effort to spread the message of creating a cleaner and healthier environment for everyone. These volunteers undertook maintenance activities to preserve the amenities, gardens and conduct awareness drives to educate the visitors at the heritage monuments. The program also reached out to students in 5 Schools at Delhi Tamil Education Association (DTEA) Senior Secondary Schools at R.K.Puram, Laxmibai Nagar, Janak Puri, Moti Bagh and Pusa Road and witnessed an outstanding participation from them in cleaning the school premises, school wall designing, maintenance of gardens and design competitions for a positive and conducive study environment, along with the volunteers. Mr. Rakesh Srivastava, Director Sales & Marketing, Hyundai Motor India Ltd. said, “Happy Move is an integral part of Hyundai’s efforts to create a safe and happy world. The initiative aims at bringing about a behavioral change among people to enable a collective transformation in maintaining a clean environment. We are grateful for the overwhelming support of Happy Move volunteers from different backgrounds and cultures who have jointly worked in raising the awareness for the development of heritage sites and school facilities. We will continue our efforts to sustain this momentum and inspire people to create a sustainable environment”. The Happy Move Global Youth Volunteers are selected by Hyundai Motor Company with a view to create a global community around the principals of sharing. Currently in its 19th edition, the volunteer program has sent over 3,000 volunteers to India till date who have been instrumental in creating a meaningful difference to lives of people in over 65 villages around Chennai. The Happy Move Global Youth Volunteers have helped create sanitation facilities for over 500 families, provided school infrastructure that has helped 180 schools and over 90,000 students.